The CPLW5 Pro Winter Cycling Tights are your choice for cooler temperatures. Don't let the cold stop you from getting in your miles. The CPLW5 Pro Winter Bib Tights are the perfect choice for riding over the winter months. We do not want cold weather to stop you from training, so make sure to get your pair, especially if you are looking to gain a competitive edge over your peers - while they are sitting on the couch looking for better weather, the CPLW5 shorts will keep you warm thanks to their micro fleece interior. Customizable U-Shaped Panel covering both the sides and the rear. 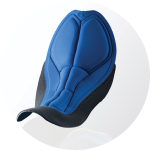 Anatomically shaped men's specifc Pro Pad, made of thick multi density Foam and an extremely smooth surface for long distances. 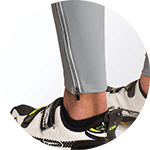 In order to maximize the comfort, we have offset the zip from the back of the leg to the side to help reducing chafing. 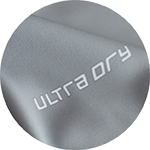 Warming, elastic and resilient fabric for the best possible fit and extended durability. 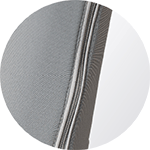 The seat ares features robust materials for added durability. 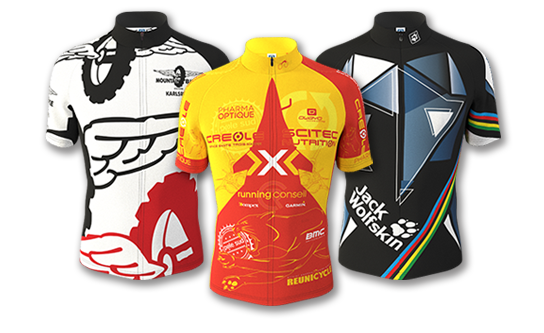 Default Features: with straps (Bib Short), XW-Tex (winter fabric), Race Pad. For this product, you can pick between various options. The following surcharges and discounts apply per piece. 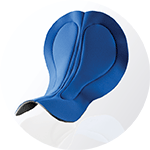 Different product features, for example Race Pad, Endurance Pad can be cumulated, when ordering at least 5 of each variation. When ordering 15 of one variation and 5 from another variation of the same product, you will receive the unit price for 20 items. For the unit prices to cumulate, you must order at least 5 of each variation.